Submitted by Brett Baker on October 12, 2015. 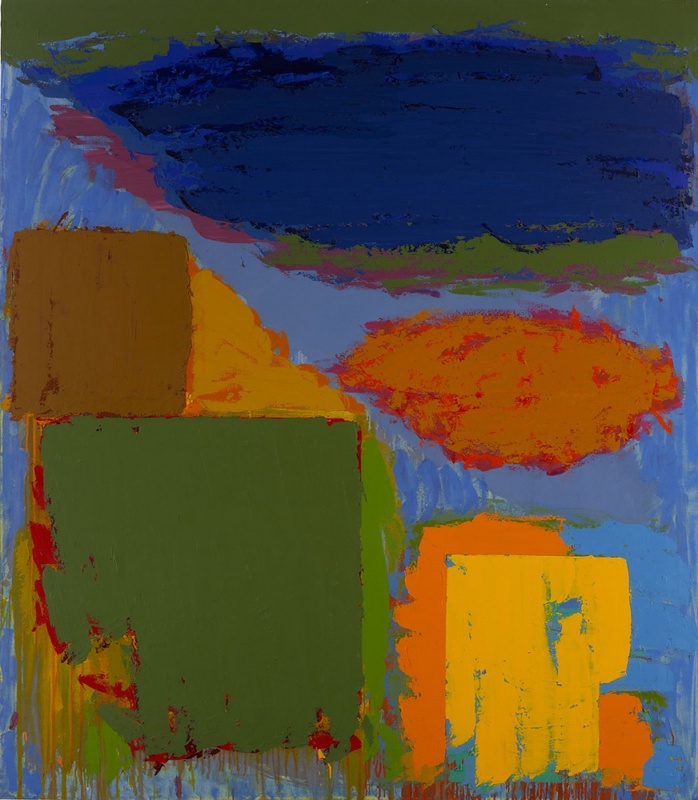 John Hoyland: Power Stations Paintings 1964 –1982 is on view at Newport Street Gallery, London, from October 8, 2015 – April 3, 2016. 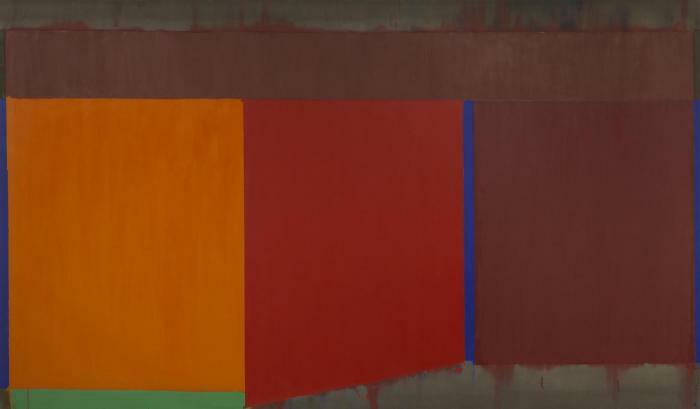 A symposium entitled Colour, Emotion, Non-Figuration: John Hoyland Revisited will be held at Chelsea College of Arts, University of the Arts London in February 2016. The deadline for symposium proposals is November 16, 2015 and organizers are interested in proposals from artists as well as writers and art historians. 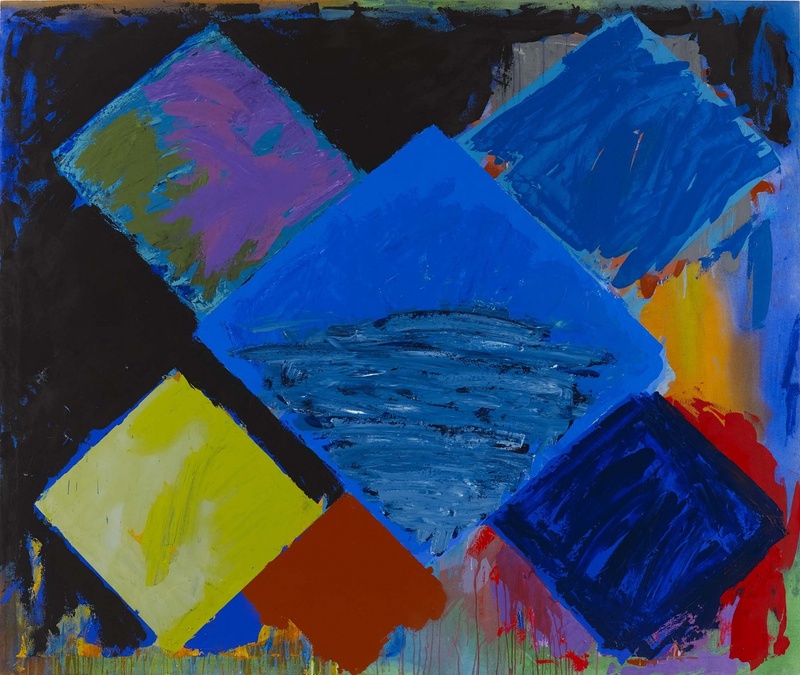 For the inaugural show at Damian Hirst's Newport Street Gallery, the artist has curated a show of paintings by the late John Hoyland. The works, painted between 1964 and 1982 are from Hirst's own collection. In a recent video interview with the Royal Academy's Tim Marlow, Hirst notes: "Threre's a massive difference between owning a painting and visiting a painting... you just have a deeper relationship with it if you walk past it everyday." Hirst also expresses his admiration for the immediacy and complexity of Hoyland's color. 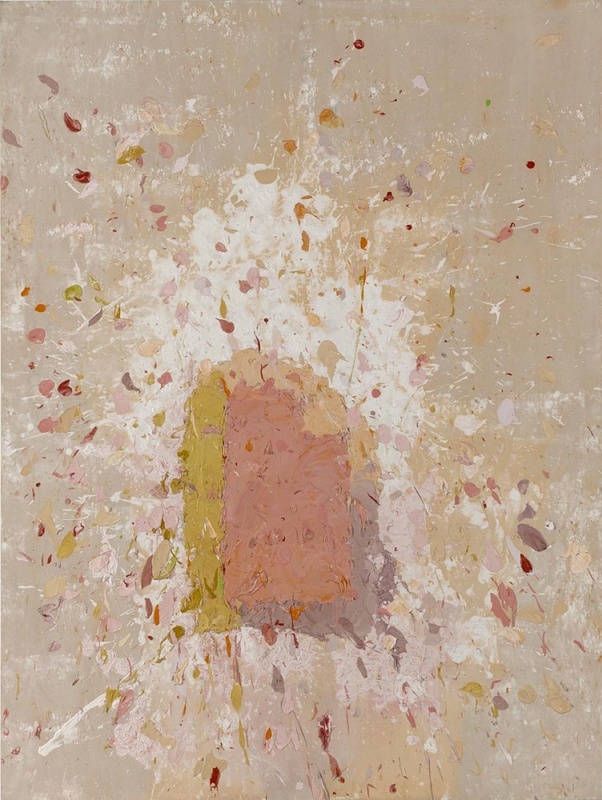 In a 1978 interview in Artlog magazine, Hoyland himself spoke of pursuing ever more complex relationships of color and form. He remarked: "I’ve felt for a long time – about 15 years – that painting can only go forward by becoming more complex. When it all boils down, I’d like to make simple paintings, but I don’t think you can just go for simplicity. You’ve got to put in all these other things that are on your mind too, just to see what emerges, what comes to the forefront. You’ve got to put in all this turmoil, all of one’s ideas. There’s no easy way to make it simple. You can’t go back and emulate Rothko’s late paintings. It has to be complex, it is something artists have got to work through. ... Newman, Rothko, Still and the rest of them. Marvellous as their paintings were they didn’t really give one any room to go into in painting: they opened up the door for minimal art and even conceptualism, but for painting they seemed to close the door. I think Rothko is a really good example of an artist who painted himself into a corner. So I felt – as a young painter – that one had to re-examine the basic things, in the way that the sculptors were doing. At that time most American artists were saying that these were old-type European preoccupations. Maybe so, but the reason Hofmann was so influential was that basically he was an old-type European artist, stuck with those values. 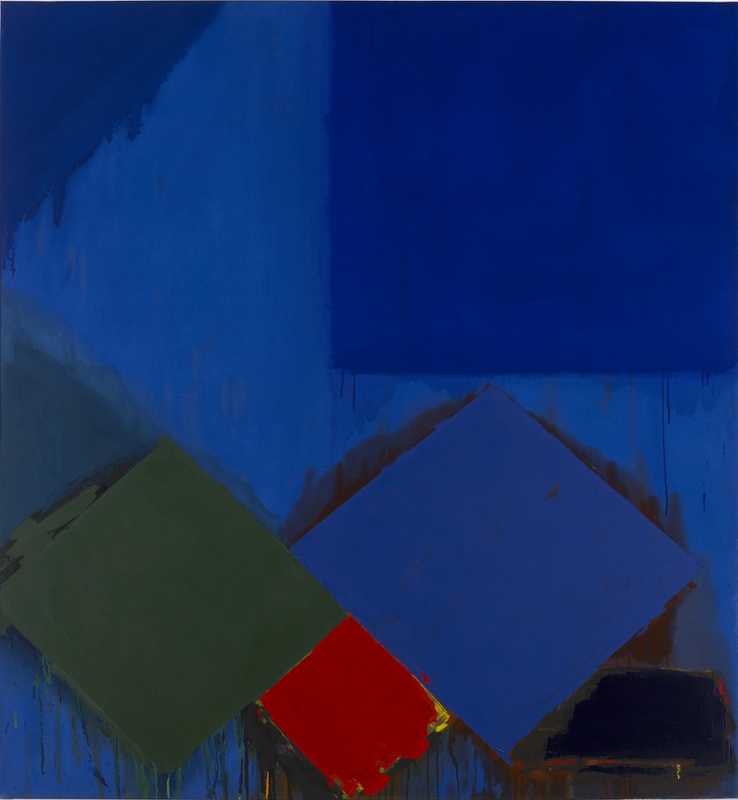 He was the guy who really set about complicating the surface again, dealing with illusion again, with the plasticity of paint, using a full chromatic range, using all these things that had been eliminated from painting by the second generation of American artists." The full interview is available at the John Hoyland website. 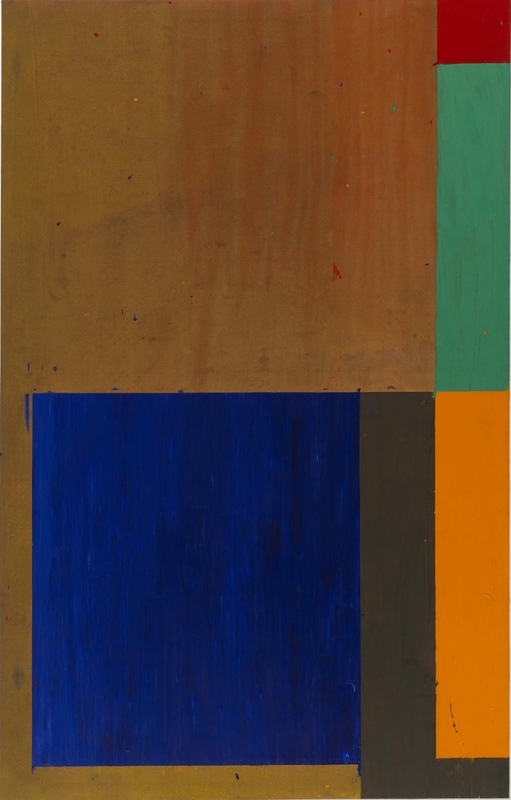 In addition to the conversation between Hirst and Marlow, the video below shows several closeups of the surfaces of Hoyland's paintings.